If you follow an online article about creating a new Domain Controller for either Windows Server 2008 or 2012, then it all seems to be a breeze. Well that’s not how it always turns out to be, as I recently found out myself. I was building a new domain controller on Windows Server 2012 Virtual Server on VMWare Workstation 9. On the face of it, everything I did was to the book – setup static IPs, new forest, new domain and new DNS. But soon I ran into problems where DNS name resolution won’t work and another VM wouldn’t connect to domain controller. After hours of troubleshooting, I gave up and re-built the server from scratch. Below are some of the lessons of this experience. Hopefully this will save someone else a great deal of time. Before you install the ADDS role, make sure your server has the following settings. Don’t proceed without them. This is straightforward. Go to Server Manager and add “Active Directory Domain Services” role and its associated features. Following ADDS installation, configure your server as domain controller from Server Manager. Make sure TCP/IP (IPv4) settings are “NOT Set” to obtain IP address dynamically from DHCP. Even if you are using VMWare DHCP configuration file to assign a static IP, you must set the static IP in TCP/IP properties to ensure VMWare DHCP service is not used for setting the IP address. Preferred and Alternate DNS are both set to point to server itself. One is the loopback address and another is the server’s IP address. You can configure a third DNS server for query forwarding. But if you are building a local lab network then that’s not a requirement. Reverse Lookup Zone in DNS matches IP address with host name, meaning it’s the opposite of Forward Lookup Zone which matches host name with IP address. Consider a client wants to find the IP address for myintranet.co.nz then the query goes to Forward Lookup Zone, client provides the name and gets back the IP address. But if client is after the host name, then it queries the Reverse Lookup Zone, provides the IP address and get back the host name. Open DNS manager and create a reverse lookup zone. 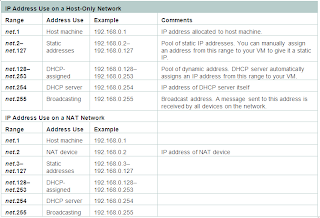 Choose “192.168” as the network address as this covers the both NAT and Host-only IP addresses in VMWare networking. A PTR (pointer) record is created inside the Reverse Lookup Zone and basically maps server IP address to its name. 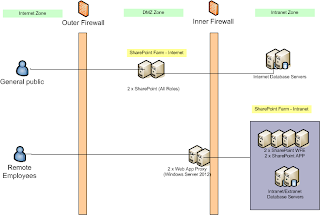 Go to your domain Forward Lookup Zone, double click domain controller “A” record, select the checkbox related to Update corresponding PTR record and click ok.
DNS settings of domain members (or computers you plan to join to domain) must point to IP address of domain controller. On client computer, open TCP/IP properties, set the preferred DNS server to IP of domain controller. Leave the alternate DNS server as blank.